Matthew Matthiessen of Mariposa, an engaging storyteller and extraordinary wildlife photographer, will provide another delightful evening of fun, adventure and entertainment at the March program of the Yosemite Area Audubon Society. Matthiessen will present a slide show, “The Birds of Cuba”, featuring many rare and eye-catching species, at 7 p.m. on Thursday, March 12, 2015 at the Oakhurst Methodist Church on Road 426 in Oakhurst. Cuba has long fascinated Americans, both for its culture and its history. Previously a vacation playground, it has been “off-limits”for Americans for more than 50 years. As a result, most people aren’t aware of its equally enchanting birdlife. The recent relaxation of restrictions on travel to Cuba, which allowed Matthiessen to visit, will likely raise American birders’awareness of its avian richness as more birding enthusiasts discover its charms. Although separated by water from Key West by a mere 90 miles, Cuba hosts many bird species that don’t occur in the U.S., including many Caribbean breeds and 28 endemic species (found only on Cuba). 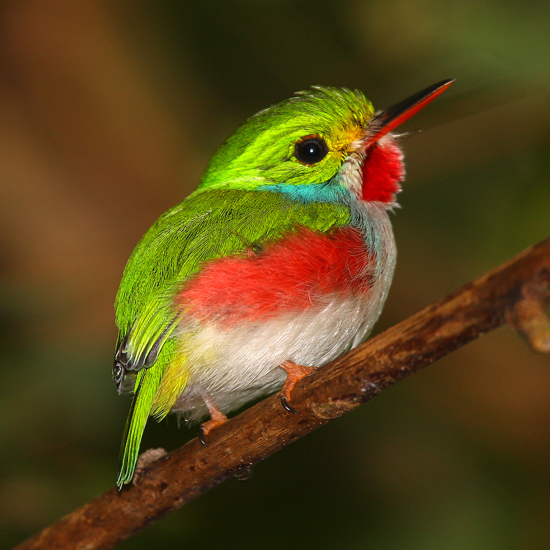 These specialties include a stunning trogon, two warblers and the smallest bird on Earth, the bee hummingbird. While Matthiessen’s presentation will focus principally on birds, including most of the endemics, he will also explore some of the island’s culture and history. Matthew’s adventures have also produced some memorable, heart-pounding experiences. He has lived through two bloody coups–one, in Thailand, successful and the other, in Zambia, not. He has been charged by an elephant, stalked by a lion and threatened by a crocodile. He has kissed a cobra, push-started a Jeep amidst a lion pride, had the spotlight die while next to a leopard, captured a 14-foot python and almost tripped over a sleeping silverback gorilla. He may highlight some of those experiences in his presentation. Like all YAAS programs, Matthiessen’s slide talk is open and free to the public, although donations to defray program costs and to support Audubon’s local activities are welcome. The YAAS will also lead its monthly field trip on Saturday, March 14, in the Merced River canyon to enjoy both birds and wildflowers. Participants will meet at the Midpines County Park on Highway 140 at 7:45 a.m. to carpool. The trip is free and the public is welcome. Bring binoculars, field guides, food and beverages. Dress in layers, bring rain gear and wear comfortable, waterproof walking shoes. Call (209) 742-5579 or (209) 966-2547 or visit: yosemiteaudubon.org for more information about the program or the field trips.